When do you need a rubbish removal service for construction? Regardless of whether you’re building a home, commercial space or even a multi-level building, you’ll have to organise a way to keep the site clean, safe and free of hazardous materials. The main issue you’ll have to deal with in construction is meeting state and national regulations. The main requirement isn’t just the removal of waste itself, but how and where the waste is taken. In the construction industry, there are penalties inflicted on businesses and contractors who fail to meet waste and rubbish removal regulations. The regulations extend from tiles, glass, metals and even natural woods and mud, so it would be in your best interest to make sure you have a removal or rubbish collection team ready for when you complete your project, and during construction. 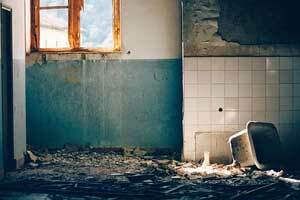 With that said, we’ve listed a few situations below that could be a telltale sign that you need to have a rubbish removal service brought in. At the absolute top of every construction site’s operation list should be the safety of the site. Workers on construction sites are already in a far more dangerous place than most other workplaces, and falling, tripping or having something fall on them is a real danger. Add on top of this a large amount of clutter and general construction waste and you truly have a recipe for disaster. A bunch of leftover wires, demolished concrete or general rubbish make a worksite far less safe and increase tripping hazards. Make it your top priority to keep your workplace free of any and all hazards by contracting a rubbish removal service to routinely collect site waste. Construction sites are busy at almost all times. Adding a pile of rubbish in the centre of a path or in front of an entryway isn’t just going to make someone tripping over a possibility, but it’s also going to stop workers from moving around easily. A cluttered construction site can cost thousands of dollars in the long term as workers will be less productive and need to stay on site longer. In some cases, a cluttered workspace can even stop construction altogether if there is no way to get rid of it. The easiest way to deal with this is to have a system set up that pushes all construction waste into one area to be collected a few times a week, or every day. If you’re a site manager or a property developer, then, of course, you’ll be wanting an energetic and enthusiastic workforce. You’re creating a new home, office or building and you want everyone to be part of that – but a cluttered, rubbish-filled workplace really hits employees morale. A construction site that’s filled with clutter makes it unsafe, harder to find things as well as stops employees from moving around easily. This is a sign that you need to reach out to a removal service. Show your employees that you care and are looking out for them – and don’t just hand the clean up off to them each day. During the construction of a home, office or apartment building for a client, you’ll want to make your business and your employees look as professional as possible. That means keeping the worksite orderly and having a rubbish protocol. A clean workplace keeps clients happy and makes them more likely to tell their business partners about you and your work, growing your business. A messy workplace shows to clients that you’ve lost control and don’t have a handle on things – and in turn, will make them anxious about the finished product. Waste disposal regulation exists to ensure that the environment isn’t damaged during the movement and discarding of construction waste. If the construction site has a regular rubbish collection service agreement, it should be made essential that the waste collection is in accordance with all laws. The main issue surrounding the environment is that plastics, chemicals, and other materials may find their way into the natural environment and cause damage. Contacting a regulatory compliant rubbish removal service is your best bet here for making sure your rubbish is removed correctly. How To Organise a Rubbish Removal Service? Choosing the right rubbish removal team for your site can be a little tricky. There are a few things you’ll want them to check off before you jump right in, and some of those things are; affordability, reliability, and professionalism – on top of their disposal methods. On top of those, you’ll want to double check that the service is able to come at a moments notice as you’re a construction site, and rubbish might pile up really quickly, so make sure to ask about that too. Also, make sure to ask about what the minimum amount of rubbish that a service will take, as some won’t arrive for just a few things.